Savoy w/ Crywolf & Indigo Child – WIN TICKETS! Grounded in their own distinctively powerful brand of electro, Boulder, Colorado’s SAVoY bridges the gap between high-quality studio production and dominating live performances. The trio has performed live at multiple major music festivals including Monolith Music Festival and Wakarusa. Over the past two years, they have shared the stage with top touring acts including Phoenix, Sound Tribe Sector 9, The Glitch Mob, Pretty Lights, Chromeo, and Passion Pit, to name a few. After selling-out multiple venues in their home state, some argue that it’s the band’s unique lineup– featuring two DJs (Gray Smith and Ben Eberdt) and a live drummer (Mike Kelly)–that distinguishes SAVOY from other acts. Others say it’s the fact that their music moves effortlessly between the sounds of rock, pop, funk, French house, German minimal techno, world music, and many of the other genres in between. Regardless of opinion, the fact is that SAVOY continues to draw mass appeal as they bring their rock-show attitude and dance floor tactics to the coast-to-coast venues that host their hoards of anxious fans. Crywolf, otherwise known as Justin Taylor Phillips, is a producer, vocalist, and multi-­instrumentalist from Los Angeles, CA. Since Crywolf’s conception two years ago, his intimate, melodic, avant-garde releases has garnered their own unique following, with a loyalty rarely seen in the world of electronic music. His releases are no stranger to commercial success either; met with support from international acts such as Ellie Goulding, Skrillex, Adventure Club, Dada Life, Arty, The Crystal Method and more. His first three EPs all charted in the top 3 on itunes and secured spots on the Billboard charts for over two weeks. His most recent effort, Dysphoria, received high praise amongst giant media outlets like Fuse and Redbull, while charting on iTunes, Beatport, Xbox Music, and Spotify. 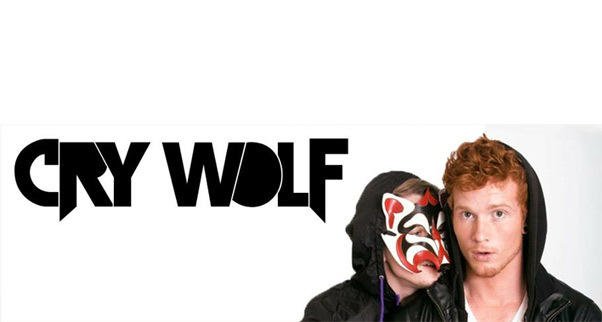 With over 30 million total plays across online streaming platforms such as Pandora, Soundcould, Youtube, and Spotify, and a ton of unreleased material in the bank, 2015 is set to be a huge year for Crywolf. Hailing from Pennsylvania, Rob S. a.k.a. Indigo Child grew up being encouraged to produce his own sound. Starting early, he was a classically trained violinist in his youth. Then he turned to bass guitar for a little more emotion and found himself experimenting with different sounds. He eventually discovered dubstep and that was the beginning of his idea for Indigo Child. Now a member of IndyMojo and G-9 Collective, we have seen him rise up as one of the main dubstep contenders in a talent filled group of DJs. He has played with the likes of Zomboy, Datsik, Bro Safari, Delta Heavy, Caspa, Savoy, Downlink, Vaski, Terravita, Figure, Reid Speed, and many more. In the past two years he has been producing his own tracks and honing in on his own sound. More recently he has caught the attention of New Zealand natives TRUTH, who just dropped one of his tracks on their new label Deep, Dark, Dangerous. Winners will be Announced by January 21st! Be sure to check back to see if you’ve won! Good luck! I’ve already taken off work to come to this show, and I’ve never seen Savoy perform. I’d love to win a ticket and remind myself what it’s like to have fun! Matt Ramsey still has presales for Carnage available, Corey! I’ll trade you a pizza for a ticket. Do you still want that pizza? I have my fingers crossed that I win this. This past year has been awful and i have not been to a decent concert since Tech N9ne @ The Murat. I live in southern Indiana and miss living in Indy with a passion. I work at a foundry 6 days a week and would really really really enjoy the chance to let loose. Please consider me! ! I’ve seen every Savoy show they’ve done in Indy and Bloomington for the last 3 years, I’m a borderline groupie. I’d do dirty, terrible things for one of those drumsticks they throw out. But I’ll settle for getting a free ticket. It’s not for me of course, I bought mine ages ago. However, my friend Victor Yuan has never been to any kind of EDM show, and if I gotta pop his show-cherry, I wanna do it with one of the best damn groups to ever grace Indy. Seriously, I think I had a joy stroke once. Anyways, I know we’re all kind of pandering here to win free stuff, but I figure honesty is a good policy. That being said, don’t give Tiffany Nguen the ticket. She owes me $25 and I think it’d be funny to wave the ticket in her face. Yup, pick me! I’m one year short of Mark on being a Savoy groupie. I’ll fight to the death for that ticket. Our choice of weapons will be plastic spoons. Winner is determined when the loser is spooned to death or unable to fight either due to hypothermia or dehydration. I haven’t seen him yet and I’m broke soooo. Please ?